We’re PMPing the SAGES Meeting! NEW FOR 2015: Use the desktop-friendly Personal Meeting Planner to create your itinerary, export it to PDF or Outlook, and synch it to all of your mobile devices (account creation and login required). NEW For 2015: Contact other attendees and/or send feedback to the podium directly from the app (account creation and login required). Create an account and synchronize your notes, stars and schedules across multiple devices. Perfect for the surgeon who uses both a phone and tablet to stay connected! 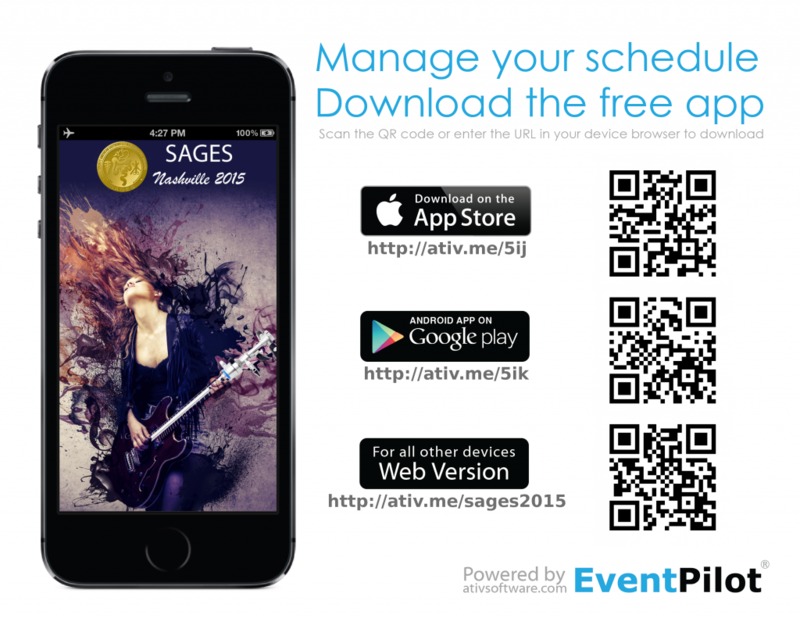 Create your own custom schedule in the app with the ability to export it to your desktop or mobile device calendar. Mark sessions and exhibitors as favorites and quickly filter any list. Add your own ad hoc meetings to the overall calendar for uber-personalization! Greatly enhanced format for courses, speakers, exhibitors, and more. Take notes on any session or speaker directly in the app and email all of your notes at the end of the meeting. Postgraduate Course powerpoint decks available within the app. Take notes on a slide-by-slide basis! Advanced multimedia capabilities including PDF, video, images, links to web site and email addresses and more. Use the built-in QR code reader to scan-and-surf any QR code you encounter. In-app social networking: Tweet about your favorite talks directly from the app. Share information with your friends on Facebook who aren’t attending and make them jealous. Built-in contact-sharing. Create a “business card” in the app and share it with other app users QR codes.